Today I'm sharing with you a pendant I made for the "W"ednesday post for Magnolia-licious. 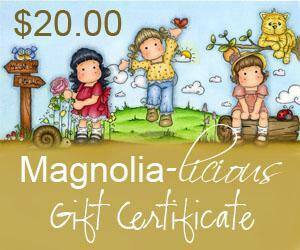 This year we will be using Magnolia Mini World and Stamping Bella stamps for the "W"ednesday challenge, both are in the Magnolia-licious Store. Please check out my other teammates creations from the Magnolia-licious Challenge Blog and join us by creating a Mini Magnolia or Stamping Bella image to win this gift from Diana. This is just lovely, so precious creation ! This is seriously a brilliant idea! I love it. What a tiny treasure! 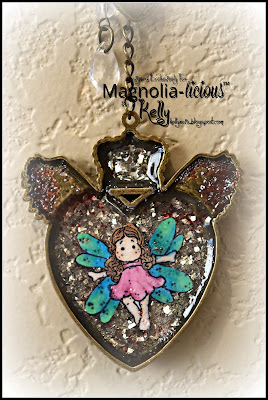 Love the effect of that chunky glitter and your magical teeny Magnolia fairy.